Bisphosphonates are a type of drug/medication which blocks the loss of bone density to treat osteoporosis-related ailments. They are most frequently prescribed for the treatment of osteoporosis. Bisphosphonates have two phosphonate groups. Evidence demonstrates that they reduce the probability of fractures in post-menopausal women with osteoporosis. Bone tissue undergoes continuous remodeling that is stored to provide equilibrium, or homeostasis, through osteoblasts generating bone and osteoclasts ruining bone. Bisphosphonates inhibit bone digestion by encouraging osteoclasts to undergo apoptosis or cell death. The uses of bisphosphonates include the prevention and treatment of osteoporosis, Paget’s disease of bone, bone metastasis (with or without hypercalcaemia), multiple myeloma, primary hyperparathyroidism, osteogenesis imperfecta, fibrous dysplasia, and other conditions which exhibit bone fragility. The purpose of the following article is to discuss the mechanism of action and role in the clinical practice of bisphosphonates. Since their introduction to clinical practice more than 3 decades ago, bisphosphonates have been increasingly used for an array of skeletal disorders. Bisphosphonates are now used to treat such varied conditions as heritable skeletal disorders in children, postmenopausal and glucocorticoid-induced osteoporosis (GIO), and bone metastases in patients with malignancies. Bisphosphonates can offer substantial clinical benefit in conditions in which an imbalance between osteoblast-mediated bone formation and osteoclast-mediated bone resorption underlies disease pathology; however, the more recently recognized association of bisphosphonate use with pathologic conditions, including low bone turnover states with resultant pathologic fractures, osteonecrosis of the jaw (ONJ), and an increased incidence of atrial fibrillation, has brought increased scrutiny to the current broad use of bisphosphonate therapy. PubMed literature from January 1, 1998, to May 1, 2008, was reviewed using bisphosphonate and clinical practice as search terms. Additional articles not obtained in the primary search were identified by assessment of literature referenced in the reviewed articles. We present data on the development of bisphosphonates as therapeutic agents, the proposed mechanisms by which these agents exert their effects, and the current roles for bisphosphonate therapy in clinical practice. Additionally, we address some areas of concern for clinicians and draw attention to some currently unresolved issues associated with bisphosphonate use. Like their natural analogue PPi, bisphosphonates have a very high affinity for bone mineral because they bind to hydroxyapatite crystals. Accordingly, bisphosphonate skeletal retention depends on availability of hydroxyapatite binding sites. Bisphosphonates are preferentially incorporated into sites of active bone remodeling, as commonly occurs in conditions characterized by accelerated skeletal turnover. Bisphosphonate not retained in the skeleton is rapidly cleared from the circulation by renal excretion. In addition to their ability to inhibit calcification, bisphosphonates inhibit hydroxyapatite breakdown, thereby effectively suppressing bone resorption.3 This fundamental property of bisphosphonates has led to their utility as clinical agents. More recently, it has been suggested that bisphosphonates also function to limit both osteoblast and osteocyte apoptosis.4,5 The relative importance of this function for bisphosphonate activity is currently unclear. Although the phosphate and hydroxyl groups are essential for bisphosphonate affinity for bone matrix, the final structural moiety (in the R2 position) bound to the central carbon is the primary determinant of a bisphosphonate’s potency for inhibition of bone resorption. The presence of a nitrogen or amino group increases the bisphosphonate’s antiresorptive potency by 10 to 10,000 relative to early non–nitrogen-containing bisphosphonates, such as etidronate.1,6 Recent studies (described subsequently) delineate the molecular mechanism by which nitrogen-containing bisphosphonates inhibit osteoclast activity. A critical pharmacological feature of all bisphosphonates is their extremely high affinity for, and consequent deposition into, bone relative to other tissues. This high affinity for bone mineral allows bisphosphonates to achieve a high local concentration throughout the entire skeleton. Accordingly, bisphosphonates have become the primary therapy for skeletal disorders characterized by excessive or imbalanced skeletal remodeling, in which osteoclast and osteoblast activities are not tightly coupled, leading to excessive osteoclast-mediated bone resorption. Early non–nitrogen-containing bisphosphonates (etidronate, clodronate, and tiludronate) (Figure 1, B) are considered first-generation bisphosphonates. Because of their close structural similarity to PPi, non–nitrogen-containing bisphosphonates become incorporated into molecules of newly formed adenosine triphosphate (ATP) by the class II aminoacyl–transfer RNA synthetases after osteoclast-mediated uptake from the bone mineral surface.1 Intracellular accumulation of these nonhydrolyzable ATP analogues is believed to be cytotoxic to osteoclasts because they inhibit multiple ATP-dependent cellular processes, leading to osteoclast apoptosis. 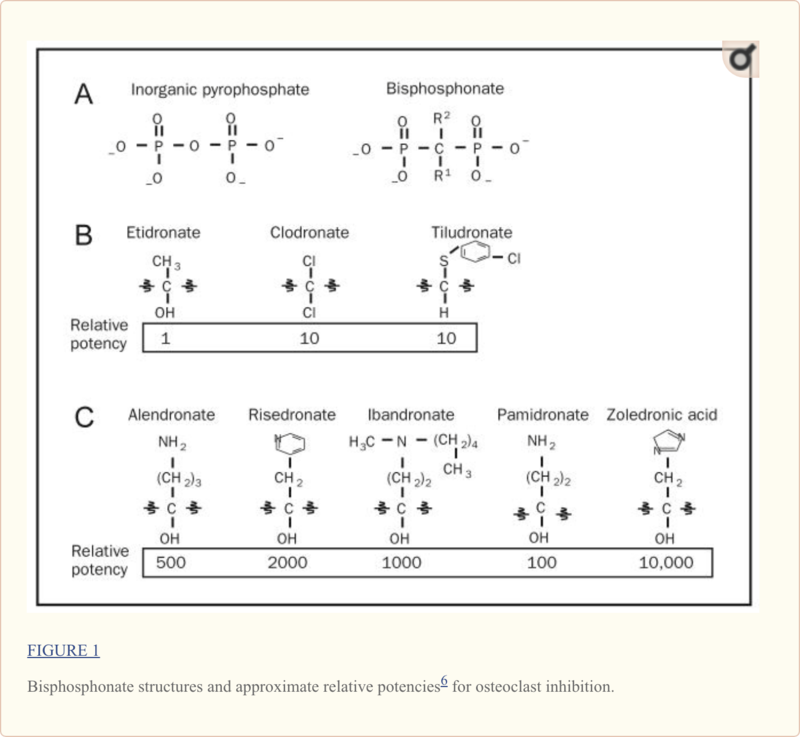 Unlike early bisphosphonates, second- and third-generation bisphosphonates (alendronate, risedronate, ibandronate, pamidronate, and zoledronic acid) have nitrogen-containing R2 side chains (Figure 1, C). The mechanism by which nitrogen-containing bisphosphonates promote osteoclast apoptosis is distinct from that of the non–nitrogen-containing bisphosphonates. 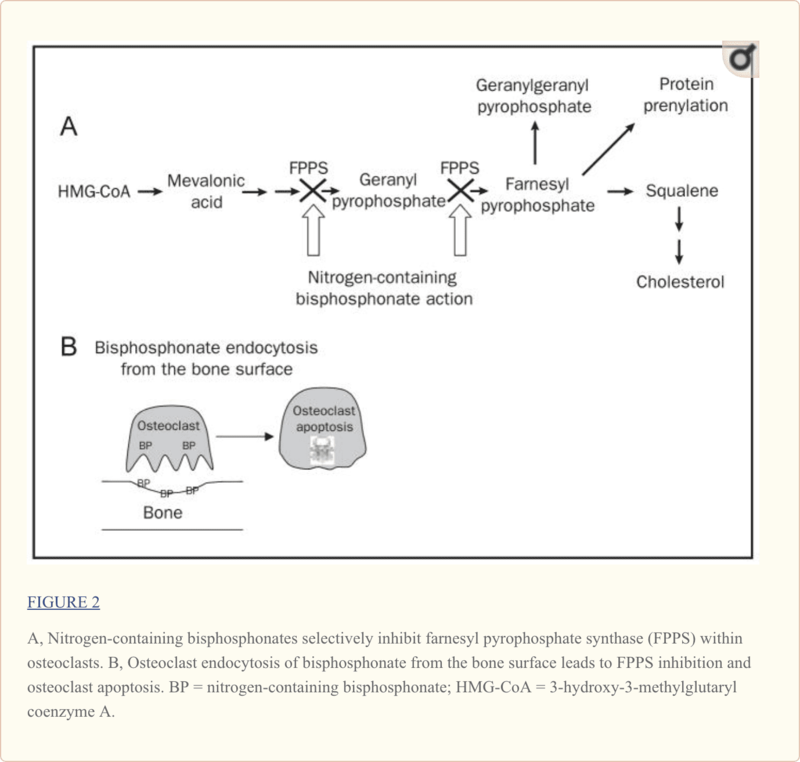 As elegantly illustrated in recent studies, nitrogen-containing bisphosphonates bind to and inhibit the activity of farnesyl pyrophosphate synthase, a key regulatory enzyme in the mevalonic acid pathway critical to the production of cholesterol, other sterols, and isoprenoid lipids6,7 (Figure 2, A). the analog is likely a direct function of the ability of bisphosphonates to selectively adhere to and be retained within bone before endocytosis within osteoclasts during osteoclast-mediated bone mineral dissolution and matrix digestion (Figure 2, B). Given the fact that nearly all patients now receive treatment with the more potent nitrogen-containing bisphosphonates rather than the earlier non–nitrogen-containing bisphosphonates, the remainder of this review focuses on this more recent class of bisphosphonates. Although bisphosphonate-mediated induction of osteoclast apoptosis cannot be measured directly within the clinical setting, a temporal reduction in biochemical markers of bone resorption (namely amino- and carboxyl-terminal breakdown products of type 1 collagen in serum and urine) after bisphosphonate initiation is considered a reasonably reliable surrogate of bisphosphonate efficacy and potency. Maximum suppression of bone resorption occurs within approximately 3 months of initiation of oral bisphosphonate therapy given daily, weekly, or monthly and remains roughly constant with continuation of treatment.10–12 Resorption is suppressed more rapidly after intravenous (IV) bisphosphonate administration than after oral bisphosphonate therapy. As aforementioned, bisphosphonates promote the apoptosis of osteoclasts actively engaged in the degradation of mineral on the bone surface. Accordingly, bisphosphonates have become the primary therapy for managing skeletal conditions characterized by increased osteoclast-mediated bone resorption. Such excessive resorption underlies several pathologic conditions for which bisphosphonates are now commonly used, including multiple forms of osteoporosis (juvenile, postmenopausal or involutional [senile], glucocorticoid-induced, transplant-induced, immobility-induced, and androgen-deprivation–related), Paget disease of bone, osteogenesis imperfecta (OI), hypercalcemia, and malignancy metastatic to bone. Although each of the nitrogen-containing bisphosphonates is more potent than the non–nitrogen-containing bisphosphonates, their ability to suppress osteoclast activity (as measured by biochemical markers of bone turnover) varies. However, whether superior suppression of bone turnover is relevant for fracture prevention remains to be determined. Indeed, data suggest that adherence to long-term bisphosphonate therapy, rather than the specific bisphosphonate used, is the most important factor in determining the effectiveness of treatment for limiting fracture risk.19,20 Accordingly, studies examining bisphosphonate therapy adherence suggest that, by addressing patient concerns of medication safety and timing, clinicians can significantly improve adherence.21 Whether weekly or monthly oral bisphosphonate dosing leads to higher rates of adherence to therapy is currently unknown. The most common clinical condition for which bisphosphonate therapy is used is osteoporosis, a skeletal condition characterized by compromised bone strength resulting in an increased risk of fracture. As previously noted, osteoporosis is a clinically heterogeneous disease with a range of origins, including hormone loss (postmenopausal and androgen-deprivation), iatrogenic (glucocorticoid-induced and transplant-related), physical (immobility), and genetic (eg, juvenile and OI-associated). Often these conditions overlap within individual patients. Postmenopausal osteoporosis is characterized by an imbalance between osteoclast-mediated bone resorption and osteoblast-mediated bone formation such that bone resorption is increased. This relative imbalance leads to diminution of skeletal mass, deterioration of bone microarchitecture, and increased fracture risk. During the past 2 decades, bisphosphonate therapy has become the leading clinical intervention for postmenopausal osteoporosis because of the ability of bisphosphonates to selectively suppress osteoclast activity and thereby retard bone resorption. The fracture reduction and concomitant increases in bone density generally seen with bisphosphonate use are believed to result from a decline in the activation frequency of new remodeling units formed by osteoclasts, with relative preservation (at least initially) of osteoblast activity. As such, the initial stabilization and retention of trabecular connectivity allow the duration of secondary mineral deposition on the structural scaffold to be prolonged, thereby increasing the percentage of bone structural units that reach a maximum degree of mineralization.22 This increase in the mean degree of skeletal mineralization underlies both improvements in bone density and reductions in fracture risk after bisphosphonate therapy. 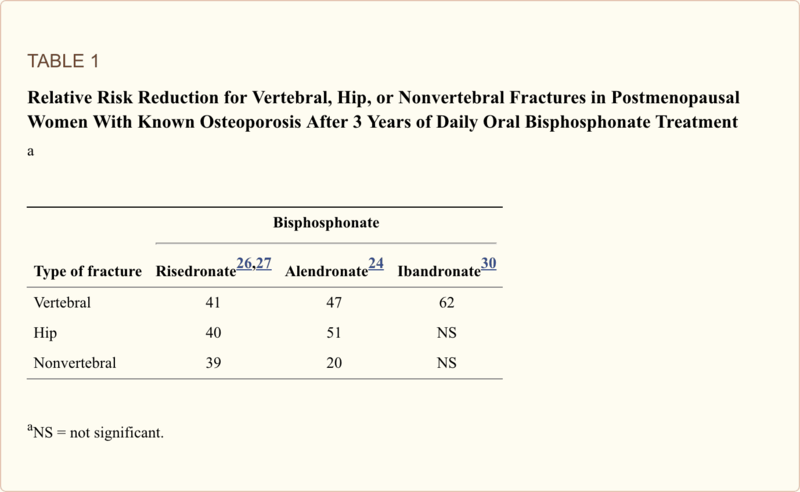 Among the oral bisphosphonates, both alendronate and risedronate have been conclusively demonstrated to reduce the number of vertebral24–26 and hip fractures,24,27 progression of vertebral deformities, and height loss in postmenopausal women with osteoporosis.28 Ibandronate, developed more recently and available in both oral and IV preparations, has been demonstrated to reduce only the risk of vertebral fracture,29,30 although the sample size estimates used did not allow sufficient power to detect an effect on nonvertebral or hip fractures. The relative fracture risk reduction in vertebral, hip, and nonvertebral sites in post-menopausal women with known osteoporosis after 3 years of bisphosphonate treatment is compared in the Table. In the Fracture Intervention Trial Long-term Extension, postmenopausal women with low femoral neck BMD (but not necessarily with DXA-defined osteoporosis) were treated with daily alendronate for 5 years and then randomized to receive either alendronate or placebo for an additional 5 years. Women who discontinued alendronate therapy had statistically significant, although clinically relatively small, declines in BMD and associated increases in biochemical markers of bone turnover compared with women who continued therapy.36 Importantly, no significant differences were found for either nonvertebral fractures or all clinical fractures; however, there was a slightly higher (and statistically significant) risk of clinical vertebral fractures in the placebo group (absolute risk, 2.9%), but this was not a primary or secondary study end point. Formal studies of alendronate cessation with more statistical power for fracture assessment after discontinuation as a primary end point or of other bisphosphonates have not yet established that, for at least some patients with postmenopausal osteoporosis, a drug holiday could be reasonable after a period of bisphosphonate therapy. Initial studies used daily bisphosphonate dosing; more recent studies have focused on weekly (alendronate and risedronate) or monthly (ibandronate, and more recently risedronate37) dosing, regimens believed to have pharmacodynamic equivalence to daily dosing of each drug. However, all studies to date using intermittent weekly or monthly oral bisphosphonate therapy have relied on surrogate markers, such as biochemical markers of bone resorption or changes in BMD measured by DXA, rather than primary fracture outcomes, for determination of efficacy. In contrast, the BONE trial, in which oral ibandronate was administered every other day for 12 doses every 3 months, did reduce vertebral fractures with intermittent dosing,30 although this dosing regimen is not approved by the FDA for treatment of postmenopausal osteoporosis. Nonetheless, intermittent weekly or monthly therapy is believed to be biologically equivalent for fracture prevention and has become the standard of care. More recently, both ibandronate and zoledronic acid have been approved for IV administration to treat postmenopausal osteoporosis. Whereas ibandronate is approved for quarterly administration, zoledronic acid is approved for once-yearly administration. During the 3-year Health Outcomes and Reduced Incidence with Zoledronic Acid Once Yearly (HORIZON) study period, annual IV administration of zoledronic acid led to significant decreases in vertebral (70% reduction), hip (41% reduction), and nonvertebral (25% reduction) fractures, with significant increases in BMD at the lumbar spine, hip, and femoral neck.14 In addition, administration of IV zoledronic acid within 90 days of surgical hip fracture repair and yearly thereafter was recently shown to reduce the incidence of any new clinical fracture by 35% and was associated with a 28% reduction in mortality.38 Further, in patients who have been treated with weekly alendronate for at least 1 year, switching to yearly zoledronic acid was not inferior to alendronate continuation, but yearly administration was preferred by patients.39 Whether IV preparations will become preferred bisphosphonate formulations for management of postmenopausal osteoporosis or after hip fracture is unknown. Nonetheless, it is clear that IV bisphosphonate delivery is particularly useful if adherence or gastrointestinal tolerance is a barrier to oral therapy or if patients prefer the relative convenience of IV bisphosphonate therapy. Finally, a recent study showed that patients with GIO treated with teriparatide had a greater increase in lumbar spine BMD and fewer new vertebral fractures than did patients who received daily alendronate during the course of 18 months.63 Whether teriparatide should supplant bisphosphonate therapy as the treatment of choice for patients with established osteoporosis who are receiving long-term glucocorticoid therapy remains unknown. Immobilized patients, such as those with a recent spinal cord injury or cerebrovascular event, undergo rapid loss of bone, leading to a substantially increased risk of fracture, hypercalcemia, and frequently nephrolithiasis. Both oral (alendronate)64 and IV (pamidronate)65 bisphosphonate therapy have been shown to attenuate this bone loss and reduce biochemical markers of bone resorption. However, the number of clinical trials conducted using both these drugs remains small. Thus, fracture incidence, rates of nephrolithiasis, and long-term safety remain to be determined. Unlike the generalized bone loss that occurs after immobilization, acute localized periprosthetic bone loss with associated implant loosening is a frequent complication in patients who undergo cementless total hip arthroplasty. Both alendronate66 and risedronate67 attenuate this acute periprosthetic bone loss of the proximal femur, although the long-term effect of bisphosphonate treatment on maintenance of implant integrity has not yet been reported. Whereas postmenopausal osteoporosis is characterized by generalized bone loss from increased osteoclast activity, Paget disease of bone involves 1 or more areas of disordered bone remodeling, in which accelerated osteoclast-mediated bone resorption is followed by imperfect osteoblast-mediated bone deposition.68 The resulting mix of poorly formed woven and lamellar bone frequently results in pain, fractures, and serious deformity, including bowing of weight-bearing long bones, skull enlargement, or numerous other skeletal deformities. As the cornerstone of therapy for Paget disease of bone, bisphosphonates profoundly suppress the increased bone resorption underlying the disease, generally leading to normalization of serum alkaline phosphatase levels used to monitor disease activity. Oral (alendronate69 and risedronate70) and IV (pamidronate71 and the recently approved zoledronic acid72) bisphosphonates are all FDA-approved for the treatment of Paget disease of bone and have largely replaced earlier FDA-approved therapies (non–nitrogen-containing bisphosphonates and calcitonin) because their ability to suppress osteoclast activity is superior. Breast cancer is characterized by osteolytic lesions, but skeletal metastases from prostate cancer have been described as osteoblastic. The role of increased bone resorption in metastatic prostate cancer has recently been recognized.86 Among the bisphosphonates, only zoledronic acid has been demonstrated to reduce skeletal bone–related events in men with hormone-refractory prostate cancer,87,88 with an absolute risk reduction of 11% at 2 years compared with placebo. In multiple myeloma, clonal proliferation of malignant plasma cells within the bone marrow cavity results in osteolysis and skeletal destruction, accounting for much of the morbidity associated with the disease. Multiple studies have shown that both pamidronate and zoledronic acid have an important palliative role in reducing the incidence of hypercalcemia and skeletal bone–related events associated with myeloma,93–95 putting IV bisphosphonates at the center of current therapies to prevent and treat myeloma-associated bone disease. At present, no data support bisphosphonate therapy for patients with smoldering myeloma, myeloma without associated bone disease, or monoclonal gammopathy of undetermined significance, nor is oral bisphosphonate therapy recommended for management of myeloma-associated skeletal disease. Given that patients with multiple myeloma have the highest incidence of ONJ among all oncology patients receiving bisphosphonate therapy, the choice of bisphosphonate, dosage, and duration of therapy have been the focus of considerable debate, cumulating in clinical practice guidelines from the American Society of Clinical Oncology96 and, more recently, a consensus statement from the Mayo Clinic Myeloma Group97 on the basis of a comprehensive review of the evolving literature. In the Mayo consensus statement, monthly infusion of pamidronate (because of a perceived higher risk of ONJ in patients receiving zoledronic acid) was favored, with discontinuation after 2 years if patients achieve remission and require no further myeloma treatment. If active treatment is still required, pamidronate can be continued at a reduced schedule of every 3 months. Although the International Myeloma Working Group generally agreed with the Mayo consensus statement, the group suggested that pamidronate therapy could be discontinued after a patient is in 1 year of clinical remission and that a reduced dosing schedule was not indicated.98 Thus, although bisphosphonates remain an important aspect of the pharmacological approach to myeloma bone disease, questions regarding their optimal use remain. Use of bisphosphonates in other malignancies less frequently metastatic to bone, such as renal cell carcinoma, has been demonstrated to delay the onset and progression of skeletal disease,99 suggesting that patients with clinical conditions less commonly believed to affect the skeleton can also benefit from bisphosphonate therapy. At present, however, limited data support routine use of bisphosphonate therapy for other malignancies. Finally, given the long skeletal half-life of bisphosphonates and evidence that pamidronate can be found in urine specimens up to 8 years after administration,109 care is warranted when considering bisphosphonate treatment for either adolescent or young girls who will reach reproductive maturity within a decade of treatment. At present, only limited, anecdotal data have assessed the safety of long-term pamidronate110 or other bisphosphonate treatment during fetal development. Bisphosphonates in clinical practice are utilized to treat osteoporosis, Paget’s disease of the bone, bone metastasis, multiple myeloma, and other health issues with fragile bones. 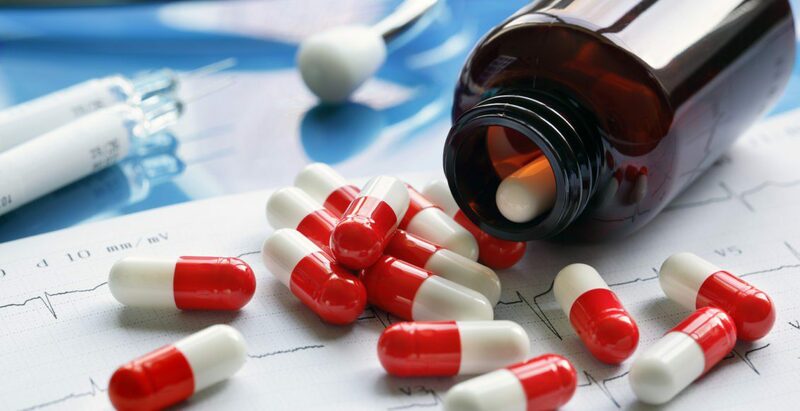 Although bisphosphonates are recommended as one of the first-line treatments for post-menopausal osteoporosis, research studies have previously discussed the adverse effects of this class of drug/medication. It’s essential for patients to talk to their healthcare professional regarding the treatment options for their injuries and/or conditions. Whereas the incidence of ONJ is estimated to be 1 to 10 per 100 oncology patients, the risk of ONJ appears to be substantially lower among patients receiving oral bisphosphonate therapy for osteoporosis, with an estimated incidence of approximately 1 in 10,000 to 1 in 100,000 patient treatment years, although this estimate is based on incomplete data.114 Associated risk factors appear to be poor oral hygiene, a history of dental procedures or denture use, and prolonged exposure to high IV bisphosphonate doses.115,116 Whether concomitant chemotherapy or glucocorticoid use leads to an increased risk of ONJ is unknown.117 Once established, care for ONJ is largely supportive, with antiseptic oral rinses, antibiotics, and limited surgical debridement as necessary leading to healing in most cases.118 Although evidence-based guidelines at this time have not been established for any single malignancy or bisphosphonate, careful attention to dental hygiene including an oral cavity examination for active or anticipated dental issues, both before bisphosphonate initiation and throughout treatment, is likely to be paramount. Although use of bisphosphonates and development of ONJ have been temporally associated, a causal relationship has not been identified. Thus, despite the burgeoning scientific literature that has developed since the association between bisphosphonate therapy and ONJ was first reported in 2003,119 many fundamental questions remain unanswered. As a first step in this process, a task force convened by the American Society for Bone and Mineral Research recently provided a standardized definition of ONJ as the presence of exposed bone in the maxillofacial region that does not heal within 8 weeks after identification by a health care professional.114 Given the current paucity of information on the true incidence, risk factors, and clinical approach to both prevention and treatment, preclinical basic and animal studies, as well as well-designed clinical trials, are necessary to both identify patients at increased risk of development of ONJ and more fully understand the association between bisphosphonate therapy and ONJ. In addition to the concern for ONJ, another concern with bisphosphonate therapy, which has recently come to light, is atrial fibrillation. In the HORIZON Pivotal Fracture Trial, in which patients were treated annually with IV zoledronic acid, a statistically significant increase in the incidence of serious atrial fibrillation (defined as events resulting in hospitalization or disability or judged to be life-threatening) was noted.14 The etiology of this electrophysiologic abnormality is unknown. Whether other bisphosphonate preparations are associated with increased rates of atrial fibrillation is currently unknown, but recent post hoc analysis of data from the pivotal Fracture Intervention Trials120 and from a large population-based case-control study121 suggest a correlation between alendronate administration and a slightly increased incidence of atrial fibrillation, although a larger population-based case-control study showed no evidence of an increased risk of atrial fibrillation or flutter with alendronate use.122 To date, concerns for atrial fibrillation do not appear to extend to patients receiving risedronate,123 nor was an increased rate of atrial fibrillation seen in the HORIZON Recurrent Fracture Trial, in which patients received IV zoledronic acid after a hip fracture.38 Clearly, more studies examining the potential relationship between bisphosphonate use and atrial fibrillation are warranted, as are focused discussions between clinicians and patients either currently managed with or considering initiation of bisphosphonate treatment. Because bisphosphonates inhibit osteoclast activity, there has been some concern that prolonged bisphosphonate treatment leads to “frozen bone,” characterized by over-suppression of bone remodeling, an impaired ability to repair skeletal microfractures, and increased skeletal fragility. Although increased rates of microfractures have been found in dogs treated with high doses of bisphosphonates,124 this finding does not appear to be common among postmenopausal women with osteoporosis treated with either oral or IV bisphosphonate therapy,22,125 although isolated cases of severely suppressed bone turnover and associated fractures have been reported.126,127 Nonetheless, the optimal duration of bisphosphonate therapy for postmenopausal osteoporosis, and nearly all other conditions for which bisphosphonates are used, remains unclear. Hypocalcemia after bisphosphonate administration most frequently follows IV infusion and can occur in patients with high rates of osteoclast-mediated bone resorption (such as in patients with either Paget disease of bone128 or a substantial skeletal tumor burden129), previously unrecognized hypoparathyroidism,130 impaired renal function, or hypovitaminosis D before treatment.131 Treatment is largely supportive, with calcium and vitamin D supplements as appropriate. Approximately 10% to 30% of patients receiving their first nitrogen-containing bisphosphonate infusion will experience an acute phase reaction, most commonly characterized by transient pyrexia with associated myalgias, arthralgias, headaches, and influenza-like symptoms. This rate declines by more than half with each subsequent infusion, such that a rate of 2.8% was found after the third infusion in the HORIZON trial.14 The acute phase response is believed to be the result of proinflammatory cytokine production by peripheral blood γδ T cells.132 Pretreatment with histamine receptor antagonists or antipyretics can reduce the incidence and severity of symptoms among susceptible patients. Occasionally corticosteroids are of benefit. A relatively rare adverse effect of bisphosphonate therapy of which physicians should be aware is ocular inflammation (conjunctivitis, uveitis, episcleritis, and scleritis). This complication has been found to occur with both oral and IV bisphosphonate therapy. In the largest retrospective study to date, an incidence of approximately 0.1% was found in patients treated with oral risedronate.133 Fortunately, ocular symptoms usually resolve within a few weeks after bisphosphonate discontinuation. Although all oral and IV bisphosphonate preparations list musculoskeletal pain as a potential adverse effect in their prescribing information, the US FDA recently issued an alert highlighting the possibility of severe, incapacitating musculoskeletal pain that can occur at any point after initiation of bisphosphonate therapy.134 This severe musculoskeletal pain was distinct from the acute phase response described previously. Fewer than 120 cases had been reported by late 2002 for alendronate and mid-2003 for risedronate in total.135 At this time, both risk factors for and incidence of this adverse effect are unknown. Other complications associated with the use of oral and IV bisphosphonate therapies are well recognized. Esophageal irritation and erosion can occur with oral bisphosphonate therapy, particularly in patients with known gastroesophageal reflux disease or esophageal stricture. Strict maintenance of an upright posture for 30 to 60 minutes after ingestion with a full glass of water, depending on the oral bisphosphonate, and the use of weekly rather than daily preparations are both likely to limit the risk of adverse effects. 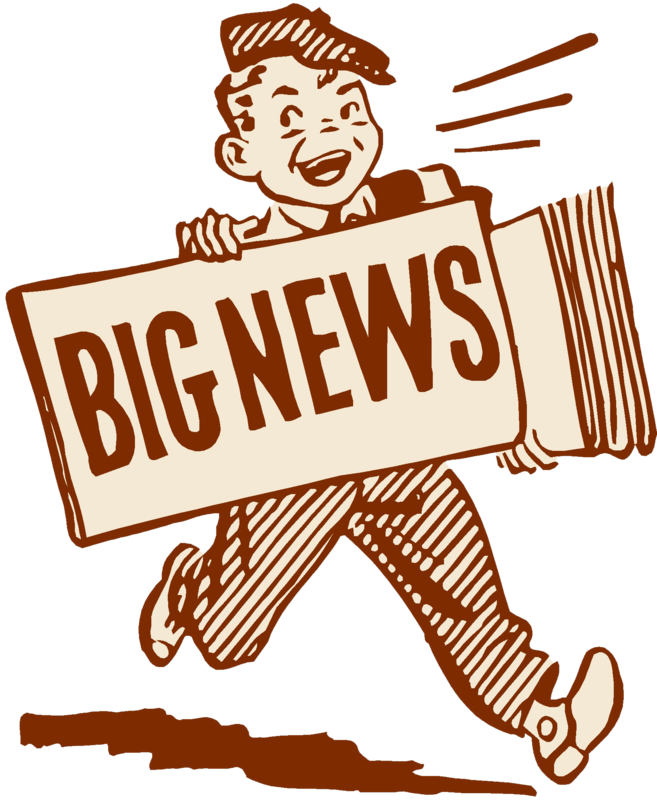 For patients unable to tolerate oral bisphosphonates, IV preparations (as noted previously) are now FDA approved and not associated with gastroesophageal irritation. Bisphosphonate doses and infusion rates should be adjusted for patients with moderate to severe renal insufficiency. 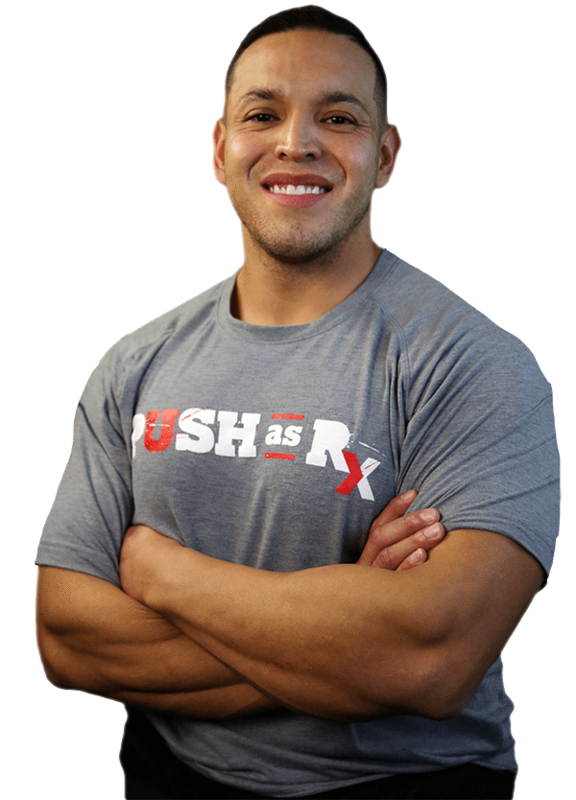 If used in patients with creatine clearance values lower than 30 mL/min, bisphosphonates must be used cautiously. Particularly in patients who receive IV preparations, bisphosphonates can lead to rapid deterioration of renal function,136,137 likely because of their local accumulation in the kidney. For patients with renal insufficiency who receive IV bisphosphonate therapy, renal function both before and after drug administration should be determined. In patients with mild to moderate renal impairment, oral bisphosphonates rarely lead to further deterioration in renal function, likely because of their poor absorption across the gastrointestinal tract and thus limited short-term bioavailability. Bisphosphonates have been and continue to be used for other conditions without an FDA-approved indication for therapy. As noted, these include various pediatric populations with low bone mass, incident fractures, and prolonged immobility. Many healthy premenopausal women with either radiographic osteopenia or osteoporosis without fractures and postmenopausal women with osteopenia but without fractures now receive bisphosphonate therapy. Until further studies address these important clinical questions, it is important to tell such patients that we currently lack sufficient data from well-controlled clinical trials to determine either benefits or risks assumed with these pharmacological interventions. Since their introduction to clinical practice, bisphosphonates have transformed the clinical care of an array of skeletal disorders characterized by excessive osteoclast-mediated bone resorption. 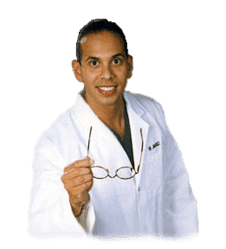 Accordingly, the informed and judicious use of bisphosphonates confers a clear clinical benefit for carefully selected patients that outweighs the risks associated with bisphosphonate use. Maintenance of adequate calcium and vitamin D intake is crucial for all patients receiving bisphosphonate therapy. We thank James M. Peterson for assistance with the figures. Preparation of this article was supported by a Mayo Career Development Award to Dr Drake. Dr Khosla has received research support from Procter & Gamble and has served on the advisory board for Novartis. Individual reprints of this article are not available. 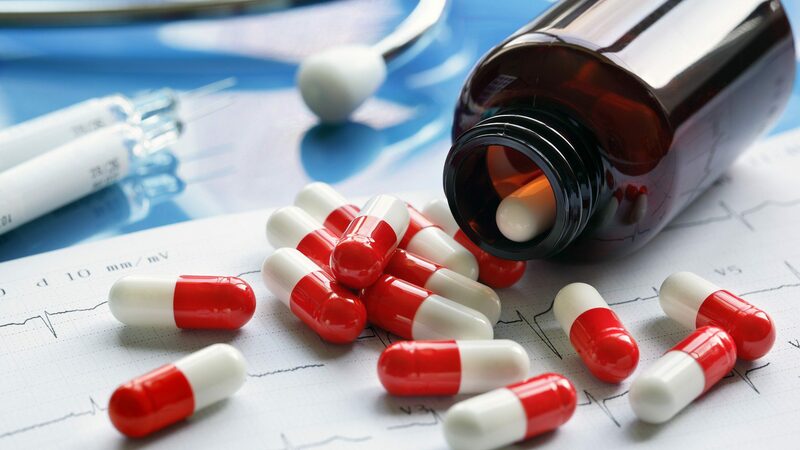 According to the article above, although the utilization of bisphosphonates in clinical practice provides healthcare professionals with new treatment options for skeletal disorders, further research studies are still required. Information referenced from the National Center for Biotechnology Information (NCBI). The scope of our information is limited to chiropractic as well as to spinal injuries and conditions. To discuss the subject matter, please feel free to ask Dr. Jimenez or contact us at 915-850-0900 .